What Stops You from Creating Art? How to Sell Your Art to Designers! Light Space & Time Online Art Gallery announces the gallery’s 8th Annual CityScapes” Online Juried Art Competition for the month of January 2018. 2D and 3D artists (Including Photography) from around the world are called upon to make online submissions for possible inclusion in to the Gallery’s February 2018 online group art exhibition. 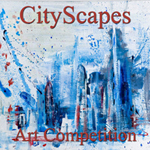 Light Space & Time encourages entries from artists regardless of where they reside and regardless of their experience or education in the art field to send us your best interpretation of the theme “CityScapes”. Cityscape subjects would be considered to be any 2D or 3D art depicting cities, towns, urban scenes and any related metropolitan subjects for this art competition. As part of the selection process, the other 8 artists who were in the top 12 will also have an Artist Showcase feature. The artists who were selected for the Artist Showcase feature (with one Artist Showcase being be posted every 2 weeks beginning on January 15th) are; Dixon Bergman, Maureen Ravnik, Catherine Pickop, durga Garcia, Gerald Chodak, Lyn Darlington, Anita Marci and William Nourse. Light Space & Time Online Art Gallery announces their 9th Annual “Abstracts” Online Juried Art Competition for the month of February 2018. 2D and 3D artists (including photography) from around the world are called upon to make online submissions for possible inclusion into the Gallery’s March 2018 online group art exhibition. 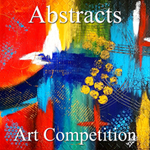 The gallery encourages entries from artists, regardless of where they reside to apply to this competition by submitting their best and most creative abstract art. The "Abstract" theme will be the artist’s interpretation and depiction of nonobjective or nonrepresentational art. The deadline to apply to this art competition is February 24, 2018. 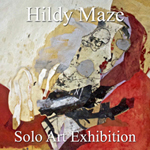 Hildy Maze is a Brooklyn born artist based in East Hampton, NY. She specializes in creating oil on paper drawing and painting collages. Hildy will be promoted by the gallery with an extensive public relations campaign, provided by Kjprnews.com. They will promote and circulate her winning press release to over 1000+ News Outlets, (Premium FOX, CBS, NBC, CW Affiliated Sites), 500 TV & Radio Sites, 250 Regional & Industry Site through Kjprnews.com and through LST gallery’s broad social media network. 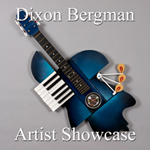 Light Space & Time Online Art Gallery is extremely pleased to announce that Dixon Bergman has been named as the Gallery’s new featured artist and he will now be promoted by the gallery for the next 14 days in the gallery’s Artist Showcase. Dixon Bergman is a Plymouth Massachusetts based artist. Dixon creates 3 dimensional wooden art, oil paintings and digital photo art. Dixon has also created museum reproductions for the visually impaired. 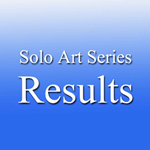 Dixon was selected as 1 of the top twelve finalists of the gallery’s recent Solo Art Exhibition Series #8. The placement in this competition qualified his art to be showcased in this feature.